Club Takeover | NUFC Blog. Archive for tag: Club Takeover. Nobody has any money to buy the Toon. 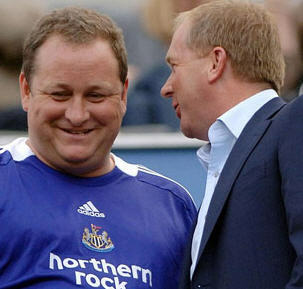 Nothing much new has happened at Newcastle United, although rumours about Barry Moat give me something to write about. For various reasons I’ve spent the last 5 days largely out of touch with any football news at all, neither having time to read a paper nor to browse the internet. Upon checking the news this morning I had hoped to find that the long-speculated Moat takeover was complete and that Ashley and Llambias had been tarred and feathered and hounded all the way back to Cockneyland, which would have been doubly inconvenient for them as neither are actually cockneys. I even have a large cigar – rolled on the thigh of dusky maiden no less – in preparation for such news. And I don’t even smoke. 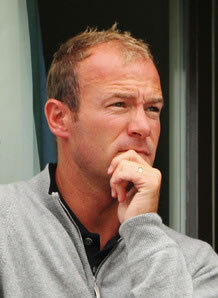 Ashley, Shearer, Keegan, Moat … latest. Reports in The Mail and The Mirror are suggesting that Newcastle United may be sold by the end of this week. We’ve heard it all before of course but one of the newspapers will get it right one day and maybe it’s today. Last week Newcastle issued a statement saying that Ashley’s £100m asking price has been met and all deals were now at the ‘sale and purchase stage‘ and apparently senior staff at the club have been told to brace themselves for ‘a big week‘ this week. It was speculated that the sticking point was the loan facility with Barclays, so presumably – if a sale is imminent – that has now been sorted out and Barry Moat is in a position to take over the club. 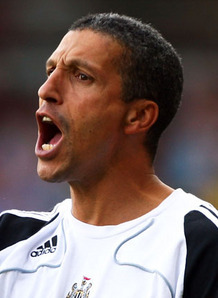 Newcastle United – News Roundup – 21 August 2009. If you remember, the press were claiming that ‘D-Day’ for the club sale saga was either going to be Tuesday, Wednesday or Friday this week. Since Tuesday and Wednesday have been and gone without anything happening, the big day must be today. I suppose if Tuesday was ‘D-Day’, Wednesday must have been ‘E-Day’ and today must be ‘F-Day’, which is really rather appropriate. As it stands at around 6AM while I’m writing this, F-Day doesn’t look too promising. The Mail claims that Llambias has said Moat is ‘there or thereabouts‘ with his bid for Newcastle, which I believe The Mail pinched from an interview with Llambias on the ‘Total Sport’ radio show for BBC Newcastle. My colleague has reported on the alleged bid by Graham Roberts and ‘Fanbase 410’, which I simply don’t believe has a chance.